In dynamic scaling of instruments and in energizing the listening space, the pair of Tannoy Churchill Wideband that I reviewed in December, 2003 with its Dual-Concentric™ way of sound dispersion had surpassed feat performed by my former forerunner in this area, the Apogee Duetta Signature. At this point, the Tannoy Churchill Wideband holds the referential place in my system in its exemplary scales of dynamics alongside my long-term reference, the Audio Note AN-E SEC Silver. 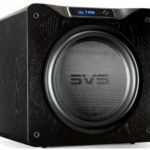 As much as the 15-inch Tannoy DC loudspeaker an ultimate form of Tannoy’s technology, I found the company’s 10-inch concoction’s level of competence most notable. The TD10 was sent to me after my review of the Churchill Wideband; were the TD10 DAGOGO’s first Tannoy review, I might’ve bought them first. A member of Tannoy’s 3rd-ranking Dimension Series below the mighty Series of Kingdom and Prestige, the 10-inch Dual-Concentric™-equipped TD10 is one of the four models that constitutes its own Dimension Series, and is the 2nd largest model in the Series next to the TD12. The rest of the line includes the smallest, 8-inch TD8, and then a vertically arranged TDC center channel with an 8-inch DC and a frequency range of 42 Hz to 54k Hz. The final member of the Dimension Series is a 93lbs, 15-inch non-DC TD Sub active subwoofer that is not available in North America, which features a long throw heavy duty cast chassis driver that goes down to 18 Hz. “The Dimension TD sub will not be released in North America for several reasons. The main issue is that the product does not have electrical safety approvals for the North American market from UL/CSA. The secondary issue is that the sub was voiced for European tastes and the North American market tends to expect more output than this sub provides. Respective pricing are as follows: $5,244 for each TD12, $4,028 for each TD10, $3,344 for each TD8 and $3,800 for the TDC. The Tannoy TD10’s dimensions are comparable to my Genesis VI‘s 42 x 11 x 18 (H/W/D), and the real wood veneer cabinet blends in well with the white carpet, with the upper two-thirds of the speaker’s front decorated in velvet. Polished metal side rails adorn the sides of the front panel, and cone feet are fitted directly beneath each side rail, forming a continuous line of the structure. My wife considers the Tannoy’s the other good-looking speakers, next to the lacquered Madrone Burl Audio Note. Developed in England, the TD10 features identical types of driver complement as the Churchill Wideband loudspeaker, while the latter was developed by Tannoy North America specifically for U.S. audiophiles. Though a much smaller version of the Churchill Wideband’s 15-inch, the TD10 uses the U.S. flagship’s same Dual-Concentric™ technology nonetheless, complete with the Tulip Waveguide™ system that unifies dispersions of all frequencies created by the DC driver units. On-axis sound wave dispersion of the Tannoy’s Dual-Concentric™ tweeter and woofer is claimed to be symmetrical. What normally would be a dust cap at the center of the TD10’s dynamic driver is the golden Dual-Concentric™ tweeter, like that in the Churchill Wideband. Yet, concavity of the TD10’s DC driver towards the center was more prominent than the CW‘s 15-inch, exhibiting a uniquely smooth and beautiful curvature most tantalizing to stare at. Traversing the range of 1.2kHz to 14kHz, the DC tweeter’s enormous range has yet to be matched, while the titanium SuperTweeter™ reaches out to 54kHz. The TD10’s SuperTweeter™ is furnished differently from the one that is integrated into the Churchill Wideband’s cabinet, as it is encased separately atop TD10’s main cabinet in a polished metal oval casing. Dispersion from this driver is well-regulated supposedly by the low-diffraction, rounded baffle, plus an application of acoustically inert material surrounding the titanium dome. Tannoy also claims its TD10’s DC tweeter and woofer to possess such naturally complimenting operating frequencies, that only minimal crossover electrical filtering is applied. Like the Churchill Wideband, the TD10’s 70lb, trapezoidal cabinet is to deter internal standing waves, and the primary panel components are constructed using birch plywood, with comprehensive internal bracing to reduce amplitude of panel resonance. Two rear flare ports augments the bass reflex design, below which is a starfish-shaped bi-wireable terminal panel with a ground terminal. Modest in size when compared to the Churchill Wideband, the TD10’s are large floor standing speakers nevertheless in my 12x27x8 listening room, its DC tweeter firing at a little below ear level when I‘m sitting on the new couch my wife made me buy. In addition, both the TD10 and the larger CW sounded their best when given more space, in proportion, to energize before the sound wave reaches the listener, although the TD10’s sounded less spacious and less extended than the CW in similarly shorter distances to the listening position. Therefore, at 50 inches away from the front wall, a little over 11 feet away from the listening position and 6 feet apart from tweeter to tweeter, the TD10s delineated a most credible and yet expansive soundstage. With a tripod-like footing, moving the 70-pounders around the listening room was quite easy with their E.T.-like movements. 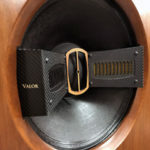 Full toe-in was facilitated in order to reap full potentials of the proprietary Waveguide™ technology, and the aesthetic grilles and SuperTweeter™ mesh were all removed during listening. At 91db/6 Ohms, the TD10’s were more demanding of amplification than the Churchill Wideband, and not compatible with all low-output SET’s. While two SET systems, namely Combak Corporation’s 7Wpc, $27k, Harmonix Reimyo PAT-777 300B power amplifier with the companion $17k CAT-777 preamplifier, and Audion’s 18Wpc, $7,395 pair of volume control-equipped, parallel single-ended 300B Silver Night Mk II monoblocks were both able to vanquish the TD10’s to notable results, a third SET amp, namely Loth X’s $15k, 9Wpc 300B-based JI300 integrated SET, could not recreate from the smaller Tannoy the remarkable results it did with the more efficient, 95dB/8 Ohms Churchill Wideband, as dynamics were severely truncated and transients subdued. On the other hand, the TD10‘s sensitivity boded extremely well with the 50Wpc, $7,100 47 Laboratory Gaincard S, and was an easy load for the 230Wpc/4 Ohms $9k Linn Klimax Twin solid-state amplifier in partnership with the Harmonix Reimyo preamp, a combination that pushed the speakers’ performance envelope furthest. Following the footsteps of the Churchill Wideband, the TD10 had a notably concordant and seamless upward transition from upper midrange on up through the very top-end, that was remarkably conducive for a sound rich in details throughout the entire spectrum, and yet not as sensitive in spectral irregularities as the AN-SEC Silver, thus much less excitable. 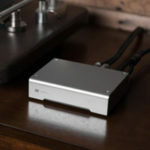 A primary benefit accorded by such characteristics is an accommodating persona towards amplifiers, as what can be construed as aggressive-sounding through the AN-SEC Silver are now sounding pristine, reverberating and considerably tranquil. Also notable is the TD10’s partnership with Combak’s CAT/PAT amplification, which produced a smoothness so resplendent with spark that would surely set many SET aficionados on their ears once again. Digital front end was comprised of the 47 Lab PiTracer and the updated Audio Note UK DAC 5 Special, which was retrofitted with a new circuit board that dispenses with the original analog filter. A report is to come. The 47 Lab Gemini Progression DAC and Harmonix Reimyo DAP-777 20bitK2 DAC also provided valuable insights into the Tannoy’s sonic makeup. Cabling remained Audio Note’s Sogon, AN-Vx and AN-SPx, with two Harmonix Reimyo Studio Master 5-foot power cords powering amplifications. Liberal instrument transients and intrinsically uniform spectral distribution surfaced in initial listening sessions as the most notable persona resemblance between the 15-inch Churchill Wideband and the 10-inch TD10, and the smaller Tannoy was no less ambitious and startling in depicting dynamic scales of instruments. Though not as critical and reflective of sound of equipment upstream as the CW, the TD10 nonetheless exhibited a bland midrange with the Gemini Progression/Gaincard S combo, while becoming subjectively overbearing in the same region with DAC 5 Special/Audion Silver Night Mk II. The one system that invoked the most satisfying results from the TD10, producing extended top and bottom end, expeditious transients, electrifying dynamics and convincing dimensionality, was one consisted of the 47 Lab PiTracer, Audio Note DAC 5 Special, Harmonix Reimyo CAT-777 and Linn Klimax Twin. Alternating amplification to the 47 Lab Gaincard S summoned super-fast transients, a clear, opulent midrange and catching rhythmic drive. Lastly, pairing the Audion Silver Night Mk II with the 47 Lab Gemini Progression DAC revealed a sonorous tonality with powerful bottom-end. Driven by Linn’s Klimax Twin, Tony Faulkner’s 1999 RCA Victor Red Seal production of Evgeny Kissin playing Chopin’s balades (Four Ballades, Berceuse, Barcarolle, Scherzo No. 4, RCA 09026 63259), attained a colossal sonority by way of a complexity and weight that invoked realism. Reproduction of the piano, in its startling immensity infused with extraordinarily expeditious transients, rivaled my Apogee Duetta Signature in the overall sense of live music. The smaller diameter of the TD10 contributed to a sound less grandiose than that produced by the Churchill Wideband; but the 10-inch Dual-Concentric™ unit as powered by the CAT-777/Klimax Twin amplification displayed more dynamic agility with an edge most conducive in delineating spatial cues. Most importantly, the thus produced sense of expansiveness and scale was also on par with my Genesis VI. Changing to the Harmonix Reimyo amplification, distribution of the piano’s vast body between the channels was more than utterly convincing while filling up the listening room adequately, but also remarkably articulate and refined so as to be devoid of chaotic ambiguity. Although the CW 15-inch’s pressurization of the room created a peerless, sheer sonic envelopment, the TD10’s sounded massive on its own nonetheless. The incredibly spotless and 3-dimensional capture of Jheena Lodwick’s All My Loving… (JVC XRCD24 1007SA) also benefited from the TD10’s DC technology, which projected each instrument and vocal with definitive dynamic scaling that imparted remarkable coherency on individual characteristics with startling separation within the group. While some songs in this compilation were made for a style other than Ms. Lodwick’s, this is a demonstration-class CD sonically through and through. Spatiality of the TD10 via the CAT/Klimax Twin was further showcased by the JVC XRCD2 disc, Dotou Banri (SVCD-1027), in which the thunderous emmensity thus projected of the stage full of Japanese taiko drums was cast in sharp contrast with that of the lone, accompanying 3-string instrument, the shamisen, which blazed with the unflinching steadfastness of the true anchor of the festivity onstage. Certain abandonment in the playback of this XRCD2 disc so far had only been attained by my Audio Note AN-E SEC Silver when flanked by the active subwoofers of my Genesis VI; but the Tannoy TD10’s 10-inch DC driver reenacted and sustained the rumbling most impressively, pressing simultaneously onwards with unwavering dynamic scaling on other instruments. Although the Churchill Wideband’s weightier realization of this CD lent breathtaking authority, the 10-inch DC woofer’s exhibition of prowess was breathtaking nonetheless. First Impression Music’s 2001 hybrid SACD, Antiphone Blues (FIM SACD 050), features rarely heard partnership of pipe organ and saxophone, and was another of Winston Ma’s stellar production that flourished in the hands of the TD10’s, imprinting immaculate spatial cues with dynamic ease and tonal clarity. Via Combak’s CAT-777 and Linn’s Klimax Twin, the TD10’s possessed such dynamics and texturing that made for the most impressive demonstration of its scaling ability, installing the highly dimensional saxophone graphically amidst the sweepingly embracing organ. As impressive and inspiring as the Churchill Wideband was, listening to its TD10 sibling uncovered new aspects of the driver technology. It’s 10-inch Dual-Concentric™ driver impresses with Churchill-like imaging integrity, and its physique uniqueness accords relatively effortless integration into the listening environment while realizing optimal performance. The Dual-Concentric™ drivers created substantial dynamics and scales, with unified spectral presentation that complimented orchestral music nicely. The latter factor was especially impressive in presenting jazz improvisations. Although both are of the same technology, the TD10 and the Churchill Wideband have different personalities. Unlike the CW’s birthright of pressurization of the room via its 15-inch driver, the TD10 was nonetheless large enough to also fill the room, albeit with lesser scale and weight. In return for the size modesty, the TD10 was dynamically more agile but no less musical, its dynamic competency and tonal coherency being nearly identical to the Churchill’s. 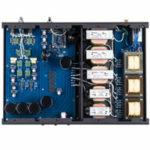 The TD10’s DC tweeter was extremely well-regulated and well-behaved, not prone to producing distorted, excessive energy even when given materials rich in the top spectrum. Tannoy’s arrangement of the TD10’s bass ports to the rear cast a sharp contrast to the Churchill Wideband’s front, V-port. Although the TD10’s bottom-end prowess was already quite formidable, having lived with the CW sound since December 2003, I remain curious upon the prospect of a TD10 of even better bottom-end performance were the flare ports to fire frontward at the listener. Soundstaging with the TD10 was orderly and spacious. Its strength lied in the instrument tonality the Dual-Concentric™ technology imparted, which portrayed instruments onstage with meticulous articulation and scale not heard with any other speakers, although pinpoint imaging was not what the Tannoy’s were about. While some of us that believe many other factors are more important than sound staging, I have found the TD10’s dimensionality a winning testimony to the company’s methods. For any prospective TD10 buyer planning to compare the Tannoy to others, herein lurks a tempting tendency of misjudgment. Aggregated wisdom has demonstrated to us of the kind of dynamic strength and tonal shadings cone drivers are capable of in general, and we are no strangers to the phenomenon wherein company X’s 2-way concoction is more 3-dimensional than company Z’s 3-way, while the latter’s dynamics could be superior, etc. But I reckon that unaware listeners may find it easier to discard the TD10 when comparing it to non-DC designs. Dual-Concentric™ is Tannoy’s long-standing commitment and implementation to the most theoretically acceptable and accurate reproduction of sound wave. The technology sounds so different from that of all others, acquaintance with even the most meticulously implemented 2-way designs may not be enough to prepare oneself for the experience. Far from me to qualify in a questioning of Tannoy’s marketing wisdom in offering speakers of conventional audiophile appeal, like the medium-range Eyris DC and the UK top-end Kingdom, both supplementing the Dual-Concentric™ drivers with extra woofer to bolster for bottom-end augmentation, at the same time also looking more conventionally assuring, I remain steadfast as the last one to suppress my advocacy for the marque’s full-blown, large-diameter DC implementations in the Dimension and Prestige Series. In the end, the Churchill Wideband did not belittle the TD10 for a smaller driver and enclosure; rather, it revealed what a smaller Dual-Concentric™ was also made of. And if the $10,488 TD12 represents a step closer to the sound of the 15-inch CW, I think owning the $8,056 TD10 is even more exciting for its impressively big sound in a more family friendly package. Unless, of course, Tannoy sends me the TD12 to attempt a mind-change on me and proves me wrong. A stellar representative of the Dual-Concentric™ technology, the $8,000 pair of Tannoy TD10 are now my most recommended loudspeakers next to the $19.5k Churchill Wideband and the $20k Audio Note AN-E SEC Silver.